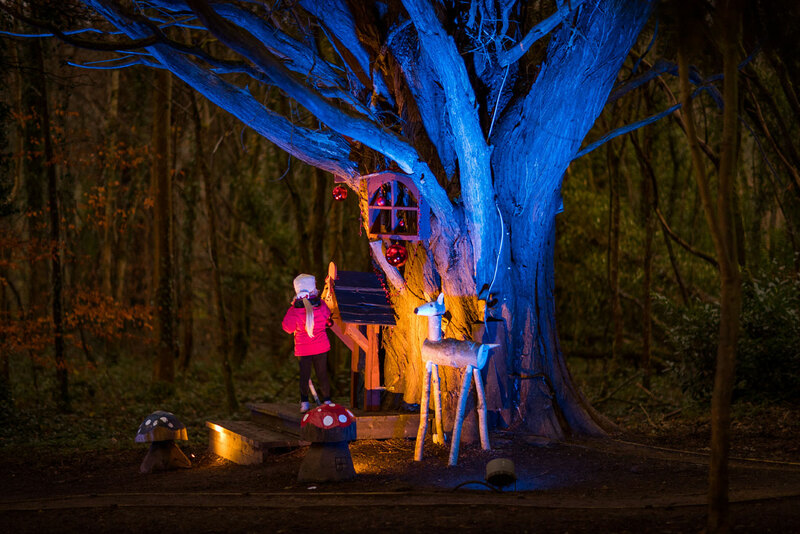 Embark on an enchanted journey this Christmas… experience a Magical Woodland Christmas at Castlecomer Discovery Park. Scroll down for a taste of what’s in store and for photo gallery and video. Tours cost €25 per child and €15 per adult. Babies 0 – 12 months without a present FREE! Scroll on to find out what our tour comprises of! Hop on the Santa Express! 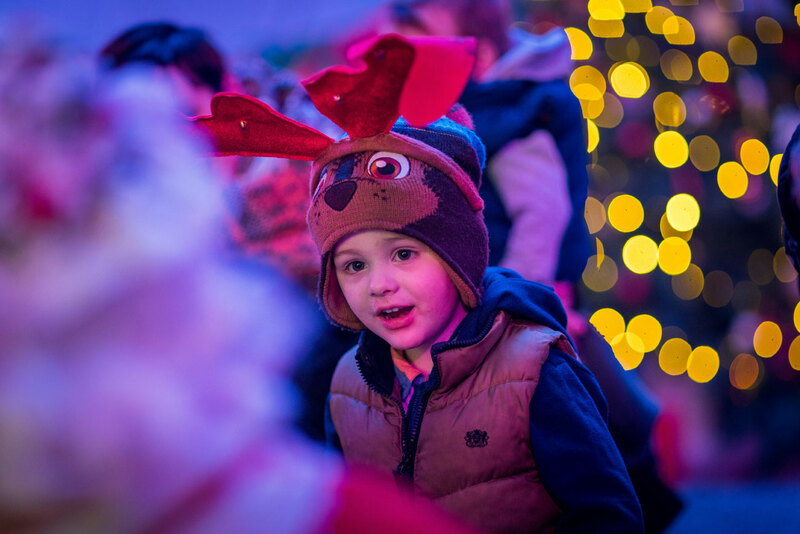 Start your magical woodland journey at North Pole Station, and get on board the Santa Express! 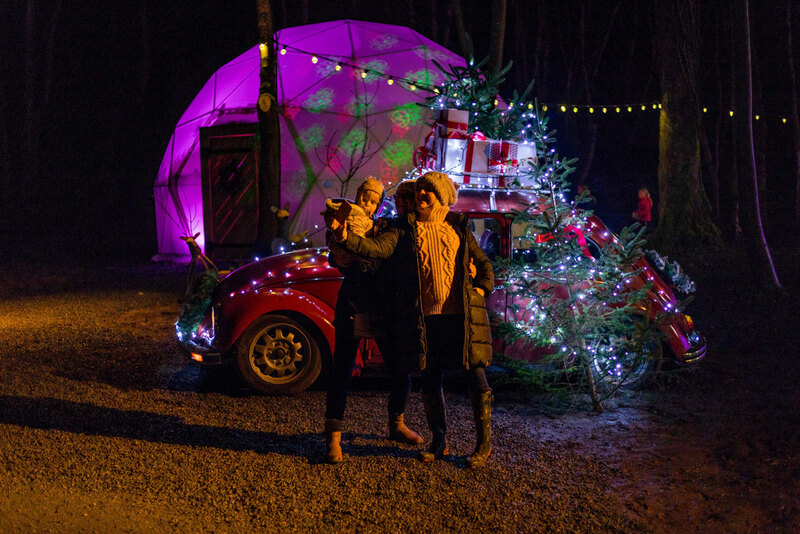 Along the route you’ll discover an exciting array of beautiful light displays scattered amongst the trees, sprinkling your journey with plenty of festive magic. 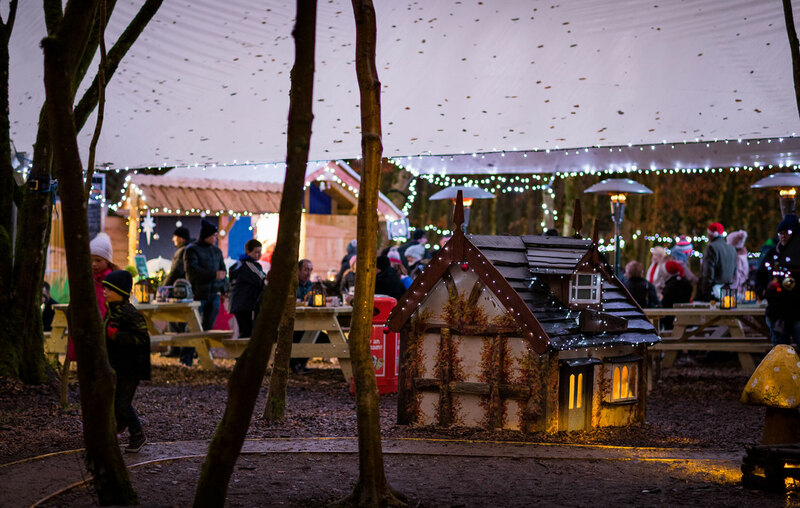 We welcome you to our magical Christmas Village, here you will have time to explore, craft and play in our enchanted elf & fairy village. Illuminated with thousands of twinkling lights, it is a world festooned with seasonal cheer and Christmas colour beneath the tree canopies. She wants to tell all the little boys and girls about what life is like for the Clauses, and how it’s so much fun taking care of mischievous elves. When Mrs. Claus finishes her tales, it is off to see the man in red himself, Mr. Santa Claus. He can’t wait to have the groups of children visit him in his winter wonderland home and to give them a present. 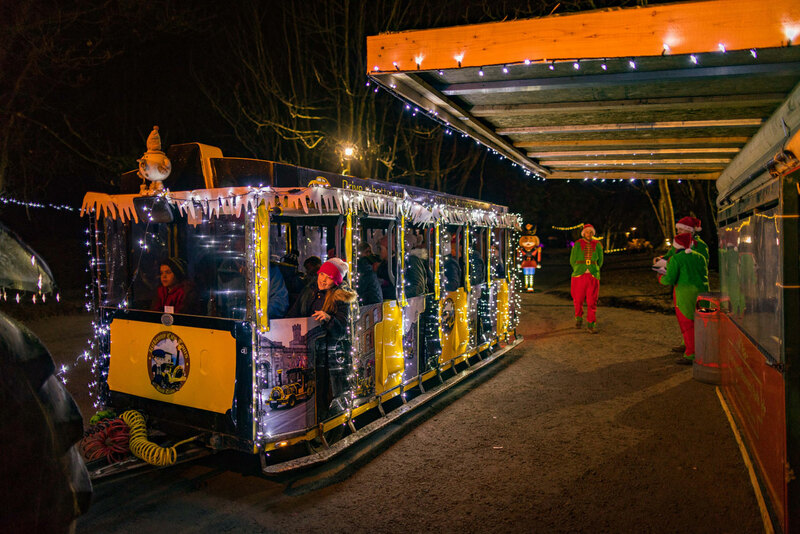 Once you have visited with Santa you are free to go back to the elf village and continue to explore and play, or you can get the Santa Express back. The Canopy Café will be open to get warm food and refreshments. 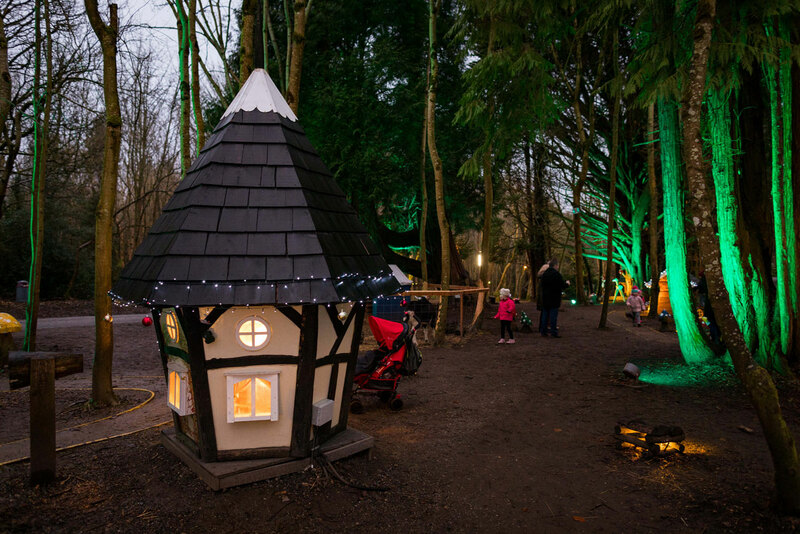 The event will last approximately 90 minutes excluding any additional time you wish to spend in the elf village. 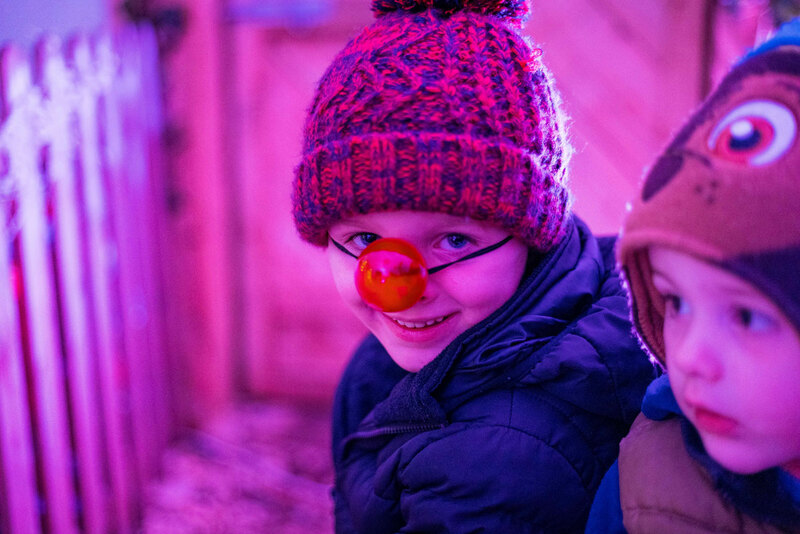 This is a group Santa experience, but each child will be met individually and families will have the opportunity to have photos taken with Santa. This is an outdoor woodland experience and we recommend to dress appropriately for changing weather conditions and to wear suitable footwear. 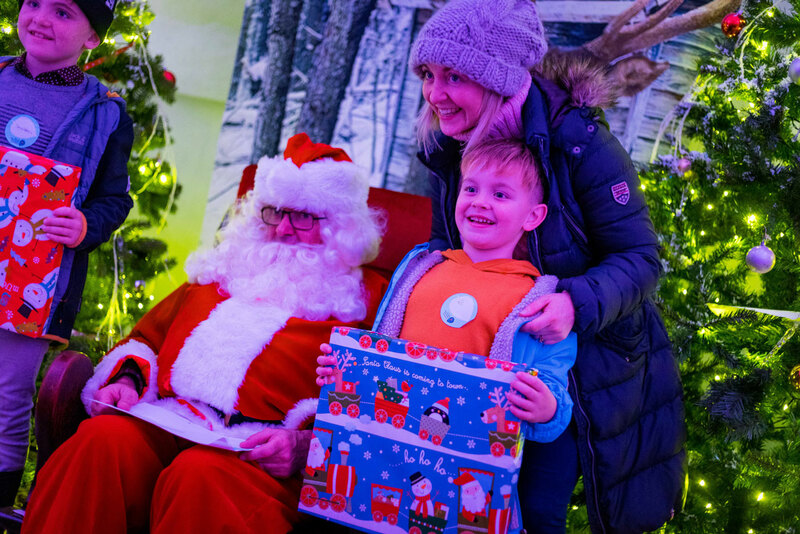 We have professional photography on site but you are welcome to get your own picture with Santa, so don’t forget to take your camera! Please note that there are no refunds due to weather unless the event is cancelled by Castlecomer Discovery Park. 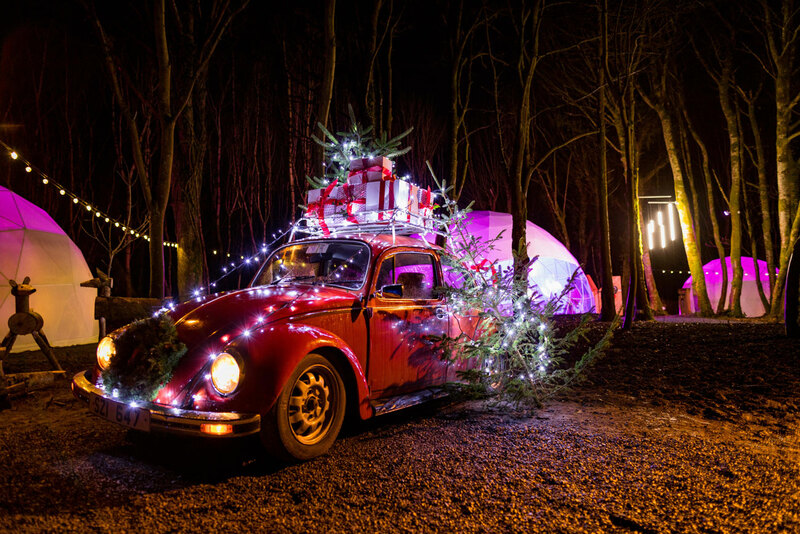 The Santa Experience at Castlecomer Discovery Park is bookable online only. 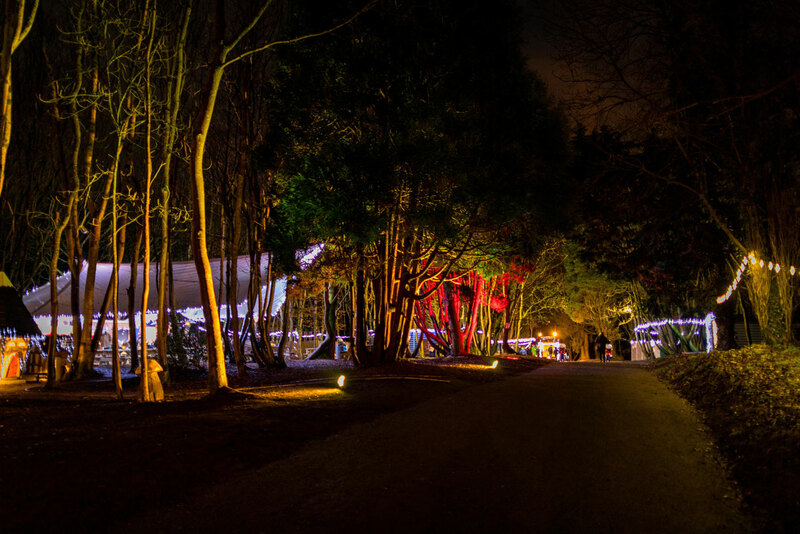 Tickets can be purchased on ww.discoverypark.ie. Once your transaction is completed, a confirmation email containing your unique booking reference number will be sent to your email address. If you do not get this email please visit your spam or junk folders. A baby is considered less than 12 months of age. Once a guardian has purchased an adult ticket and if no present is required, then it is possible to bring a baby free of charge. If you would like to receive a present then please purchase a child ticket and select the appropriate age group of 1-2 years. Can I add an additional person to my booking? / Can I change my booking? Tickets to see Santa and the magical woodland train are non-refundable. 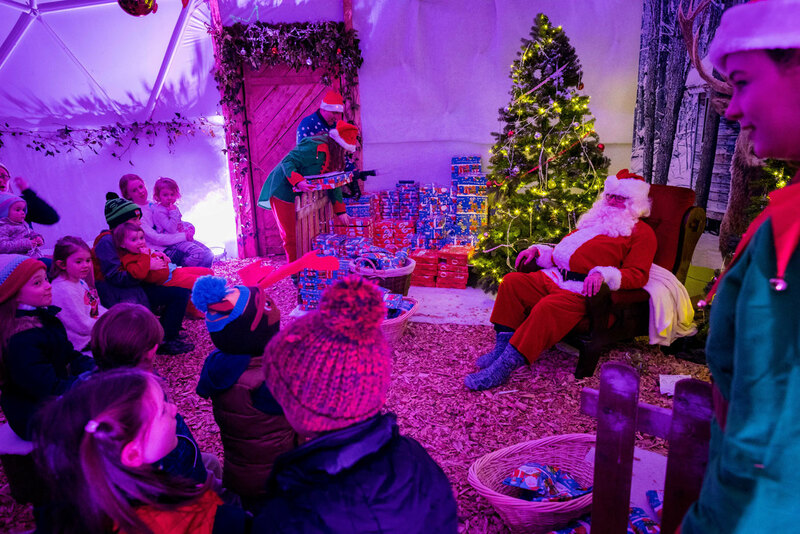 No, sorry you cannot receive a refund due to adverse weather conditions, Castlecomer Discovery Park will endeavour to ensure that all Santa events will go ahead no matter what the weather. This is an outdoor event and for maximum comfort in our winter wonderland we recommend you wear comfortable footwear and warm clothing. How do I get to Castlecomer Discovery Park? Is there parking at Castlecomer Discovery Park? Yes, there is a large car park including spaces for limited physical ability. Please note Castlecomer Discovery Park car park has a parking charge. It will remain open until the last event finishes. Pedestrians should keep to pathways where possible and be mindful of traffic. Normal car rates apply. What details will I need to make a booking? 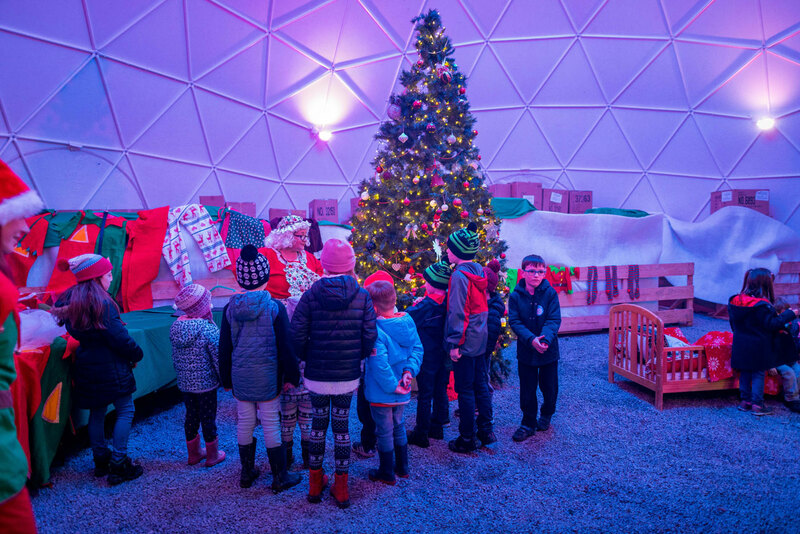 Once you select your required date and time, you will need to know the number of adults and children visiting the Santa Village, the children’s names and ages and contact details will also be required. For all other special needs, please e-mail info@discoverypark.ie with your requirements and we will assist you in any way possible. What do I need to bring with me for the Santa Experience? We would kindly ask that all participants dress appropriately for our unpredictable Irish weather as this is largely outdoor event! At check-in please present your confirmation email. Can I take a photo with Santa? Yes, we encourage you to take photos with Santa and there will also be many other amazing photo opportunities along the journey. 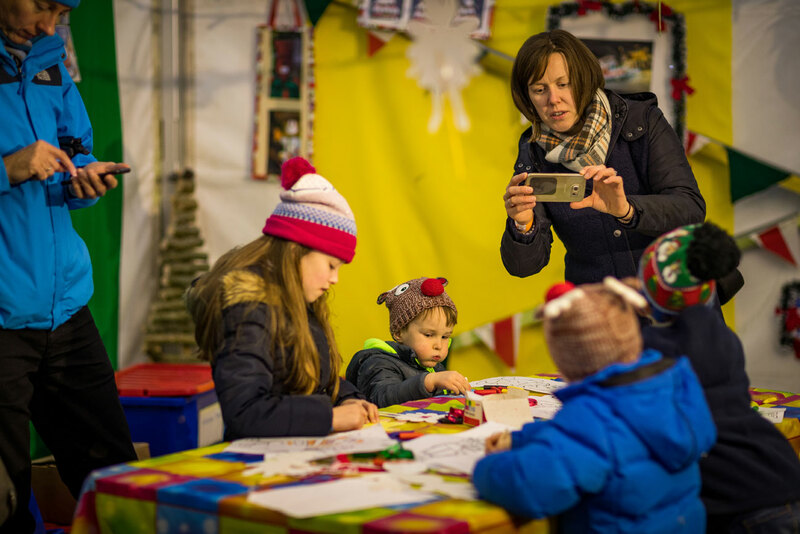 We will have a professional photographer at the Santa village should you wish to avail of this service. What happens if I get delayed on the way to Castlecomer? Please phone us on 056 – 4440707 if you are delayed. 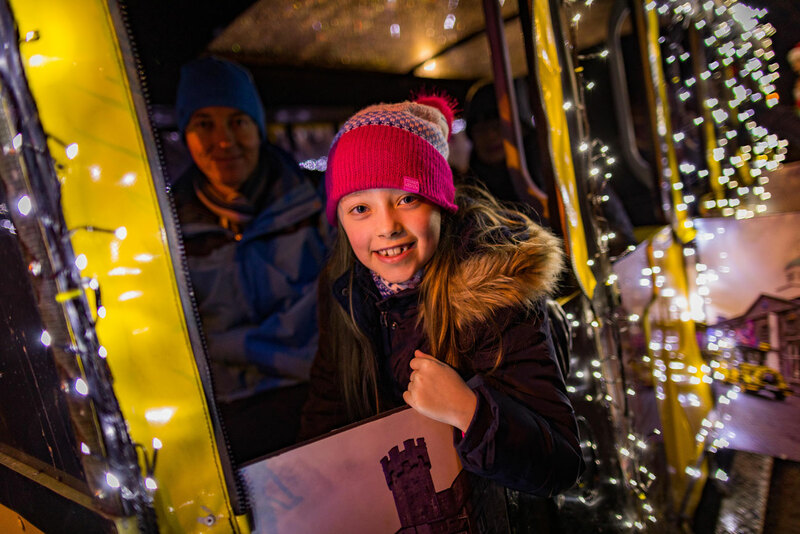 Unfortunately, we can’t guarantee your place on The Santa Express if you miss your Santa Experience but will make every effort to facilitate you. Every Santa event must start on time. We ask all visitors to check in 15 minutes before your booked event. Please allow sufficient time for any unforeseen traffic problems, weather, car sickness etc. 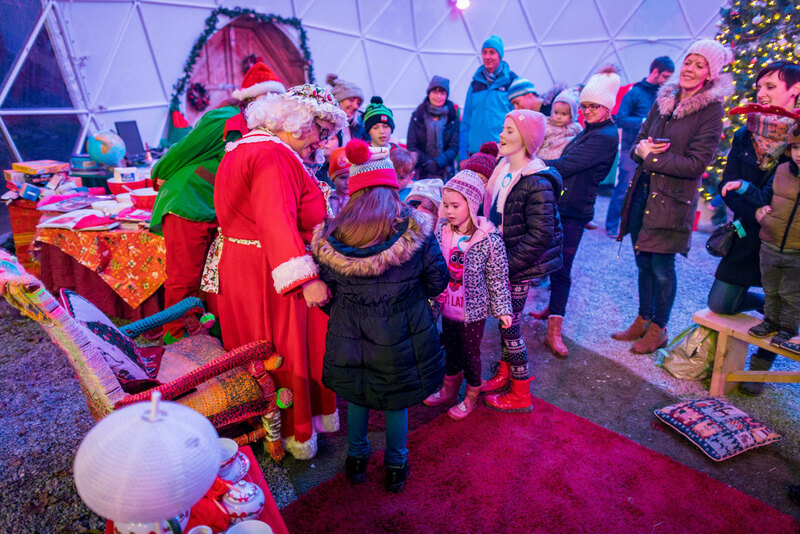 What are the Discovery Park’s opening times during the Santa Experience? 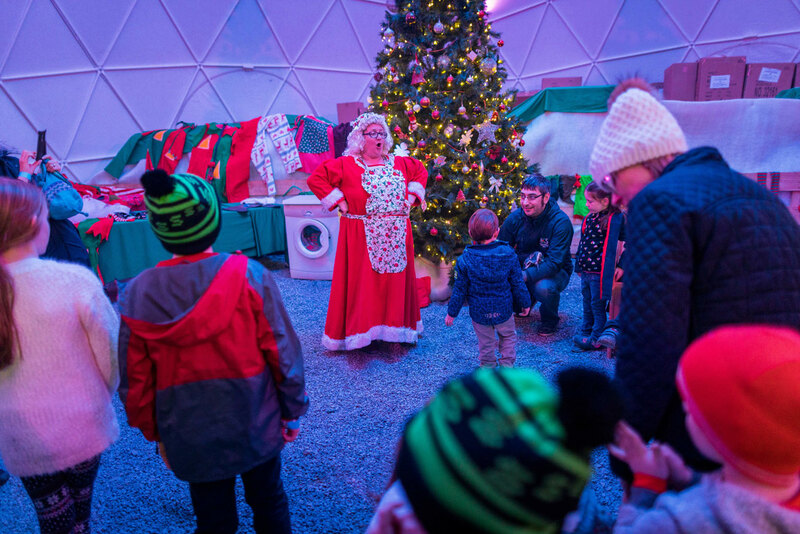 The Christmas Experience opens on November 24th and finishes on December 23rd. For further details e.g. start times and finish times, please look at our booking system. What do I do if my ticket receipt has not been emailed to me or my printer is not working, how do I print off my ticket? Tickets will automatically be emailed to the address you entered upon payment of your tickets. Tickets must be paid for at time of booking. Take note of the confirmation number you were given at the time of booking and present this to the desk when checking in. Can I book a group of people for the Santa Experience? 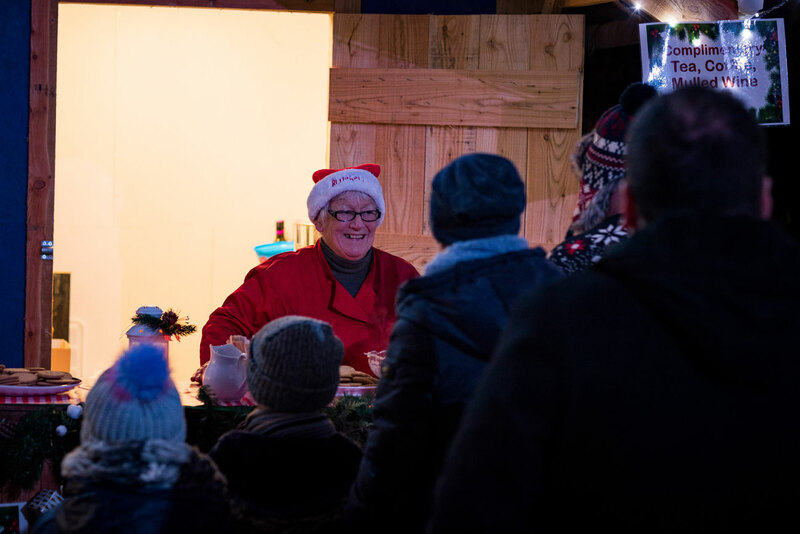 We will have our Canopy Cafe open for the duration of the Christmas experience, you can purchase snacks, tea, coffee, cakes.